Need an easy guide of beautiful London? Want to partake in tourist activities and never feel like a tourist ? Let me help you. I know this city well. I cannot count how many times I have been to London. Often even twice a year. One thing I know is that I love coming back here. It is always enough for me to visit for a few days then return to my place of residence. There is so much to do in and around London, and although I often partake in tourist activities, I never quite feel like a tourist when I am here. I know this city and I know it well. The last time we visited London was over Easter. London has a lot to offer over the long Easter weekend such as Egg Hunts for both the young and old. Be aware that London is known for it’s April Showers so it could be cold and rainy at that time of the year. The United Kingdom (UK) consists of England, Wales, Scotland (which collectively make up Great Britain) and Northern Ireland. London, England’s capital is set on the River Thames. When it’s cold and rainy, I am not bothered. I just make sure I have some of my favourites with me. Love wearing rain boots and raincoats that really stand out. And who doesn’t love a see- through unbrella? There are so many beautiful parks in London. Hyde Park being the most popular. My favourite is St. James Park. St. James’s Park is located in the heart of London. Many ceremonial parades and events of national celebration take place here. I love the famous resident pelicans. The pelicans were first introduced into St. James’s Park in 1664 as a gift from the Russian Ambassador. You can also spot owls, woodpeckers and bats. deckchairs are set up for tourists and locals to enjoy seating from April to September. Changing the Guard occurs daily in summer and alternate days until December. The Queen’s Lifeguard changes daily at Horse Guards Parade Ground. Hyde Park is great if you want to go swimming, boating, cycling or skating. Pitches have been set up in the park for for team games. There are tennis courts, playgrounds for children, and even a track for horseback riding. Throughout the year you can enjoy events and concerts here. Hyde Park is also home to The Serpentine Bridge, Joy of Life fountain, Archiles statue, and the Diana Memorial Fountain. Greenwich is the oldest Royal Park, It is located on top of a hill, allowing visitors to enjoy stunning views over the River Thames and Central London. One of the most beautiful places I have visited. The park is part of Greenwich World Heritage Site. It is also home to the Prime Meridian Line and the old Royal Observatory. the National Maritime Museum is in walking distance. Millions of Locals and tourists visit Greenwich Park every year. Greenwich Park is the most historic of all eight Royal Parks, and dates back to Roman times. It was enclosed in 1427. Deer can be seen at the Wilderness, by the Flower Garden in the park. There are paths leading to special viewpoints from which you can enjoy watching the herd of 16 fallow deer and 14 red deer. London Buses are a quick, cheap, and convenient way to travel around London. Get an Oyster Card to avoid buying tickets every time you need a train or bus. I prefer to take the Underground, but it can be a bit of a hassle going up and down those long escalators, especially when switching from one tube to the other! Aldgate Station, on the Circle and Metropolitan Lines, is built on a massive plague pit, where more than 1,000 bodies are buried. (Surprising fact I learned two years ago). For some reason, there are not as many lifts in the underground stations as I would have thought; which now as a mother, I would imagine it would be extremely annoying travelling to London with my son. We will have to wait and see when next we are there. Tower Bridge recently unveiled the new and spectacular glass floor across the Walkway. Visitors can view a never-seen-before view of London from 42 metres above the River Thames. The famous red London buses and pedestrians atop the Bridge while boats sail under it. The Houses of Parliament, also known as the Palace of Westminster. It is the seat of the two parliamentary houses of the United Kingdom: the House of Lords and the House of Commons. It is open to all UK and overseas visitors to attend debates, watch committee hearings or take a tour through the building. And of course Big Ben! The first time I saw Big Ben must have been about 20 years ago! Yes! Time has flown by. Big Ben actually refers to the clock’s hour bell, the largest of the clock’s five bells. There are always a whole lot of tourists here, taking pictures with the largest clock in Great-Britain. So why all the fuss about this clock? Well, Big Ben is a very famous and beloved British landmark, 157 years old as of 2015. Big Ben weighs about 13,760 kg (over 30,000 lbs!) and is 2.28 metres tall (7 feet six inches) and 2.75 metres wide (9 feet). Yes he is wider than he is tall! LOL. Here I am at Parliament Square…..with Nelson Mandela! Click on the links below to learn more about each market to see what it has to offer, such as shopping, restaurants, drinks and events. Take a look at my Top 5 Food Markets in London you should not miss? Have you been to London or planning on heading over there soon? Use this guide to help you navigate the city. Share your experiences and plans with me in the comments section below! Lovely pictures. I’ve been to London a couple of times, and there are always plenty of interesting things to see. I have been to London but not in many years. One of the benefits of going in the summer months is that you have very long days of sunlight as the UK is far north and so the sun sets are well into the evening. It is also obviously a lot warmer. The downside is that it gets very crowded with lots of tourists for these reasons. Even so, it is one of the great cities of the world with great parks and shops, cafes, and even street market fairs where you might score a bargain from a small vendor. London is the dream destination for every traveller. I like this city very much. But couldn’t get the chance to explore London in detail. Hope I can soon come there. I bookmarked this post for future reference. Such a great guide to London! I try to visit as the city as often as I can and there is always something new and exciting to discover. I especially like Borough Market. Yes, I need a super easy guide for London! I’m not the one to plan out or research places to go, so thanks for providing a quick post on what to do. I have been to London quite a few times and it has always been fun. It was also a little difficult for me to find the right tube when using the underground. I love how you added fun facts in the end. The Brits really love their tea! Greenwich Park looks amazing, I’d never heard of it. The views from Greenwich Park are worth the visit alone. The photo you took of Tower Bridge is amazing, I’m jealous. I think if you like parks and architecture, you would love London. You can check out my post on Vienna. There are so many amazing parks with lots of architecture and history here. Thanks for stopping by. S.
London is such a special city and it has been a long time since I have visited. Your post gives me inspiration to return and enjoy some of the unique sights. I liked that you gave us some interesting facts about London too. It’s always good to learn more about a destination. I love London! The picture you took of the London Bridge is awesome! Great tips too – especially about the parks. I learned a lot about them from your post. We just made exactly the same trip and it rained..lol…luckily we managed to catch the Lord Mayors Parade and the fireworks on the Thames. I lived in the UK for 2 years and was in London quiet a lot. You have nailed many of the incredible sites spot on. 165 MILLION cups of tea daily? Holy Moly! that is crazy. I love the Borough Market and Covent Garden. They are amazing. I do miss London now and then as I always found something to do there. Although I tend to feel like I want to avoid cities in preference for more rural travel, I can’t help but be curious about London. It does seem to have some very interesting attractions and history. It’s especially nice to hear about it from someone who is well versed in the city! 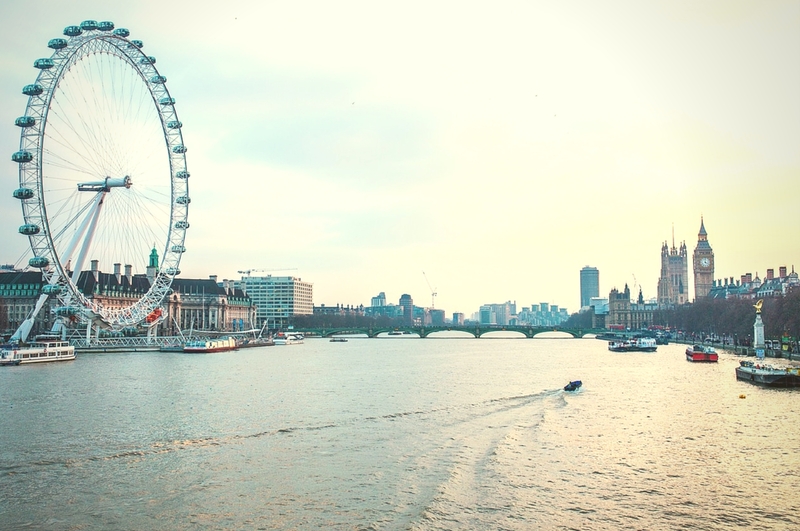 Enjoy reading about London travels through an insider’s perspective. I have only been to London once but I skipped the Hyde Park. The color of the trees is so beautiful and I love to pay a visit on my return trip to London. Enjoyed reading the post and learning more about London. I haven’t been in years and you reminded me that it is time to return. Thanks for the lovely photos and great information. Very useful. You are welcome Carlos, and I hope you enjoy your trip. If you need more information, please let me know. A positive attitude helps you cope more easily with the daily affairs of life. It is certainly a state of mind that is well worth developing. Traveling to beautiful places like the UK is amazing, defiantly would bring positive attitude. Great Blog! I would love to see London but the travel would cost me a fortune. But it’s definitely part of my bucket list and hoping to cross it out soon. London is perfect! I’m moving in there next month too! Amazing post and great to know about London as I never been there. But London for sure still on my list to visit as I have a best friend that living there so, it´s worth it to visit. And specially I saw some of greatest pictures and stories that you wrote. I really wish, I had access to your posts when I was visiting Europe two months back. I did love London and found it extremely expensive. My most fav was the National Museum and BTW, did you take that pic of Tower Bridge? I love London. I’ve been living here for 11 years. Hyde Park is one of my favourite spots in the city. Love this! I’ve been to london 3 times and I’m hoping to return soon so definitely bookmarking this! OMG I totally need to visit London. I’m from New York and tons of people are always here visiting from London…telling me how amazing it is. London is definitely on my bucket list! I love London, it makes me feel that burning fire every single time. Great all in one post for visiting London! Loved the fun facts in particular! That is a whole lot of tea and a lot of languages! How did I never know that there were 300 languages in England!?!? Does that mean like dialects or actual languages?! Your photos are also a million times more beautiful than any I have… and I’m living here! Oh the shame haha 😀 Loved reading this quick and easy guide, thank you. There is something about london that always fascinates me. I have only been as far as the London Airport, which is huge, but I’d love to explore the city and follow you guide. Very soon! I would totally love to watch the parliament debate, have seen some videos of the parliament debating on Donald Trump, and I think its totally amusing! I have always thought that the Chinese are the greatest tea drinkers, I didnt expect that people in UK loves tea also. Hahahahahahaha! Hilarious! But you are right. I wonder, how does the Queen travel without a passport? This totally broke my brain, lol! Does she even need a passport to travel? I don’t think she needs one Veronica. If anyone ever questioned her, she would just tell them off! Also, she never goes through immigration or anything like that, and just imagine the poor country who would dare ask THE QUEEN to show her passport before entering. Love it! My sister is going to London with her boyfriend and I have to send this to her. Beautiful photos. Thank you Liz, I hope this guide will help her enjoy her trip a little more. My family and I really enjoyed our trip to London this past Thanksgiving weekend. Though we have some stories like how my oldest son will always “mind the gap”. Poor kid lost his shoe and his binoculars since he was not paying attention, tripped and his shoe and binos fell between the gap. Reading your articles i had got few questions in my mind 🙂 how Queen Elizabeth travel to other countries with out passport ? Thank you. I love taking pictures, and try not to use any filters at all, so what I capture is exactly what it looked like. I find London to be expensive, but for a weekend or a week, it is well worth it. Wow, I had no idea about the plague pit – creepy fact. Your photo of tower bridge is stunning! London was my home for several years, and it will always be my second home. I got a little homesick looking at your photos, it is probably time to return. When next do you think you will be able to go Jen? Do you still live in Europe or are you in the US? Thank you for this suggestion Mishvo. I have not been to Canterbury. It is definitely something that sounds like it could be great for a day trip or an overnight while visiting London the next time. I have been to Coventry and spent a night there, also small and charming, but I hear the cathedral in Canterbury is stunning! Thank you for the tip. So much tea!! Haha. I was in London just before the royal wedding and had so much fun exploring the city! This makes me want to go back and see all the things I missed. I love your facts section 🙂 that’s crazy about the queen owning so much land? also – the bodies at Aldgate Station! I feel like every time I read a post I find new and strange information! Hi Tae, i am glad you enjoyed the post and were able to learn something! Yes, she own’s too much land surface. Hardly imaginable. I’ve been to London once and we saw all these major sites plus we were lucky and caught the queens birthday parade! That was about 15 years ago, though, so it’s great to have your tips! I will be going again in June with my husband and son for a long weekend so I’ll have to look into that bus pass you mentioned! Yes, definitely try to get the Oyster Card, it will save you a lot of money. If you live in Europe, they can send it to you before your trip, otherwise you can get it at the Airport or any underground station. I hope you have a great trip in June. The weather should be good then. Great stuff Sheri, we have been to London a few times but have always skipped going to Parliament, will have to put that on our list. We are planning on flying into London in August after Mongolia. I really found the fact of the queen owning that much of the earths land mass interesting. Hi. Oh I want to go to Mongolia too! Will need to read your posts about your trip. I find it funny that the Queen does not have a passport but as a single person can own one-sixth of the Earth’s land surface!!! Unbelievable. Great post- i’m from London, and i learnt some things here about the history that i don’t even know! lol! oh and yes to the April (or in this case March) Showers – it was lovely warm and sunny yesterday but now i think its heavy rain forecast for the rest of the long easter weekend, when we are all off work- typical!